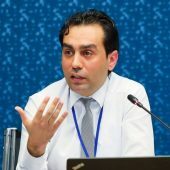 Amer Mohamad is a Syrian researcher and security analyst based in London. He holds a B.S. in economics, an M.S. in banking and finance, and an M.A. in conflict resolution and security studies, the last of which is from the University of Bradford in the United Kingdom. You can follow him on Twitter at @Amermoh89.